I don’t know whether it’s an age-related thing or a by-product of blogging about Portugal but my appreciation of skilled craftsmanship has certainly increased in recent years. Among the many Portuguese arts and crafts that I have come to admire are the Arraiolos tapestry rugs. These beautiful, hard-wearing woolen carpets don’t come cheap but that’s because they’re all embroidered by hand. Popular among the aristocracy in the 18th century, they served not only to protect and decorate floors but also to display wealth. Properly cared for, they last for ages, making them a sound purchase. 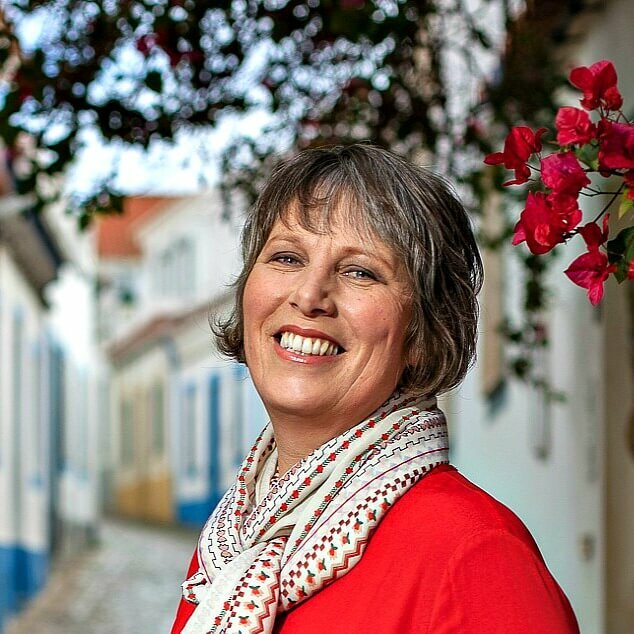 Having noticed the tapestry Rugs on the floors of various manor houses and historical hotels in Portugal, I decided it was time to visit Arraiolos, the village they originate from. Arraiolos is a small village just north of Évora in the Alentejo region and has been producing these rugs since at least the 16th century. Arraiolos rugs fell out of fashion in the 19th century but fortunately, a group of local women revived the tradition in the 20th century. The original designs were heavily influenced by Persian and Turkish carpets although you’ll find a wide range of patterns and colours these days. While I didn’t see the anticipated women sitting in the street working away at their patterns (it was March so that’s hardly surprising), it doesn’t take long to find a rug shop with a local craftswoman busy with the needle. To find out more about the history of these rugs, I paid a visit to the Centro Interpretativo do Tapete de Arraiolos, a.k.a. the rug museum. It was one of the best Euros I’ve spent. Housed within a former medieval hospital in the main village square, the exhibits cover wool production and dyeing through to the weaving of the base mats and the designs and stitch work involved in creating the tapestry rugs. The glass flooring near the entrance allows you to see the former dyeing pits that have been dated back to the 13th to 15th centuries. If you’re lucky, you may be able to watch and even take part in a live embroidery demonstration. If not, the photos, models and equipment will enable you to understand more about the skill involved. At the time I visited, photography wasn’t allowed inside so you’ll have to take my word for it that this little museum is worth a visit. The most noticeable structure in the village is the unusual circular castle on the small hill overlooking the residential area. It doesn’t take long to climb up there and although it’s mostly in ruins, significant parts of the old walls remain intact. Not bad considering it was built in the early 14th century. You’ll also get to see the 14th century church of St. Salvador. The views of the village and surrounding countryside alone are worth the gentle climb. Another of Portugal’s artistic treasures is the tradition of hand-painted ceramic murals, or azulejos. If you want to see some stunning examples, visit the 16th century Loios Convent or, more specifically, the church attached to it. The Manueline entrance is impressive but wait until you see the blue and white interior. The painted tile panels were installed in 1710 and depict the trials and tribulations of various saints. 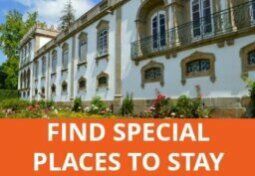 The convent itself has been sympathetically renovated to become a luxury pousada. The cloisters are now living and exhibition spaces, decorated with a few fine examples of local tapestry and sculpted marble. Given the beauty of the surrounding countryside, I had intended to do the “Entre Pontos e Colinas” walking trail but we ran out of time and, to be honest, the leaflet and map are so small that even with reading glasses I couldn’t work out the route. The staff at our guest house told us how to reach a nearby lake on foot so that’s what we did, returning to the village at dusk. There is a cycle route along the former railway line but we simply didn’t have time to try it out. How long you choose to spend in Arraiolos depends on what you’re looking for. While it isn’t the most beautiful or captivating village in the Alentejo, it has a quiet charm, several restaurants and could work as a base for exploring the area. If it’s just the rugs you’re interested in, you can see and learn about them on a day trip from Lisbon that also takes you to Évora and the megalithic chromlech at Almendres. 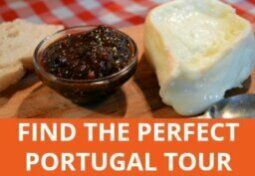 Alternatively, there are a few buses a day from Évora, operated by Rodalentejo and Redexpressos. By far the easiest way to get there is to drive, which of course allows you to choose how long you stay. We stayed at Casa do Platano and loved it. We were welcomed with a local liqueur and home made biscuits and were able to help ourselves to freshly baked cake at any time of the day (can you tell where my priorities lie?). 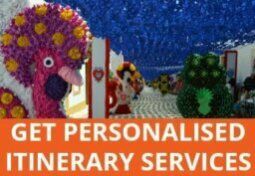 The rooms are spacious and comfortable, pleasantly decorated, albeit not luxurious, but it’s the staff and facilities that make it special. 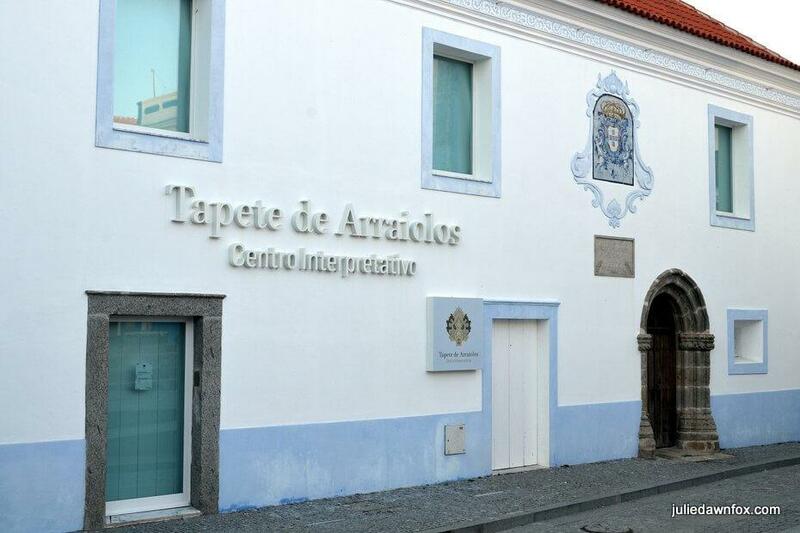 If you’d rather stay somewhere more upmarket, I’d go for for the Pousada Convento de Arraiolos. It combines the historical features of the original convent structure with modern architecture and all the amenities you’d expect, including indoor and outdoor pools. Situated just outside the village, it has great views. 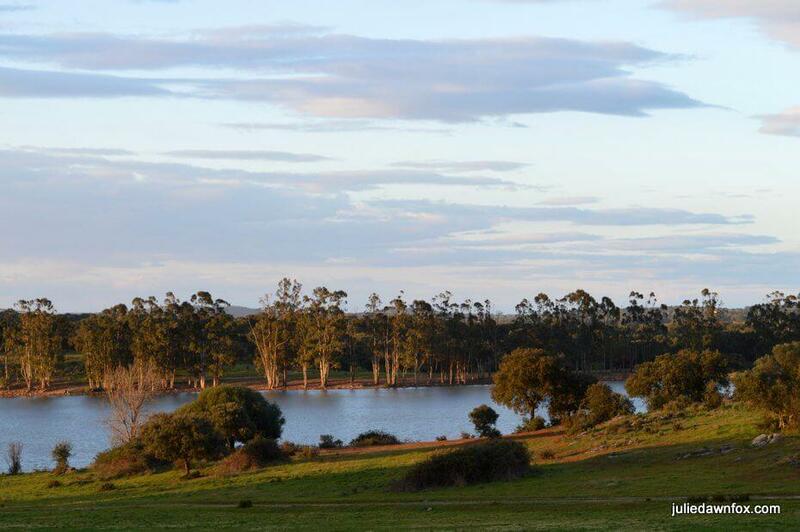 If you’d like an even more rural setting on a Lusitano horse farm, try Monte Velho Equo Resort. You can arrange horse rides and other outdoor activities or simply relax in this small boutique hotel. Previous Post: Is São Jorge Island The Best Of The Azores? Quite Possibly! 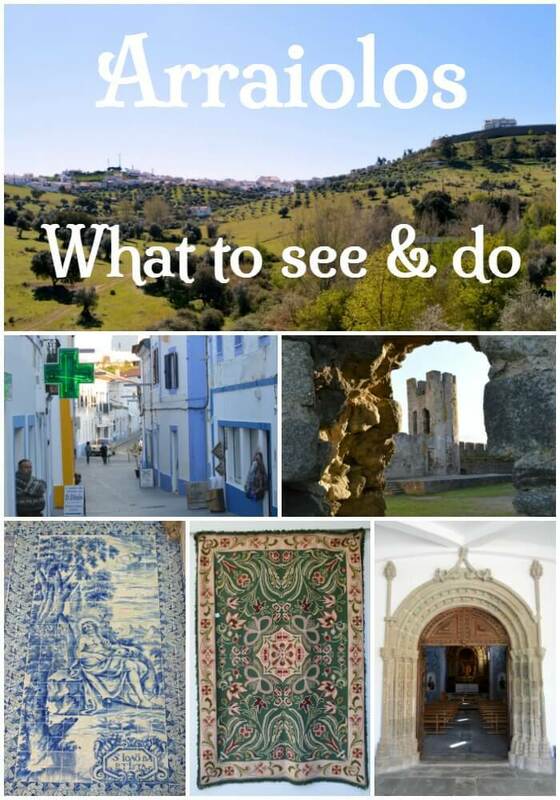 If as you say Arraiolos is not itself the ‘best’ village to visit in Alentejo ( apart from the Tapetes which make it a must see ) could you please advise which villages in your opinion do constitute the ‘best’ to include on a sightseeing expedition. Hi Rhys, I prefer Monsaraz to Arraiolos although it depends on what you’re looking for. 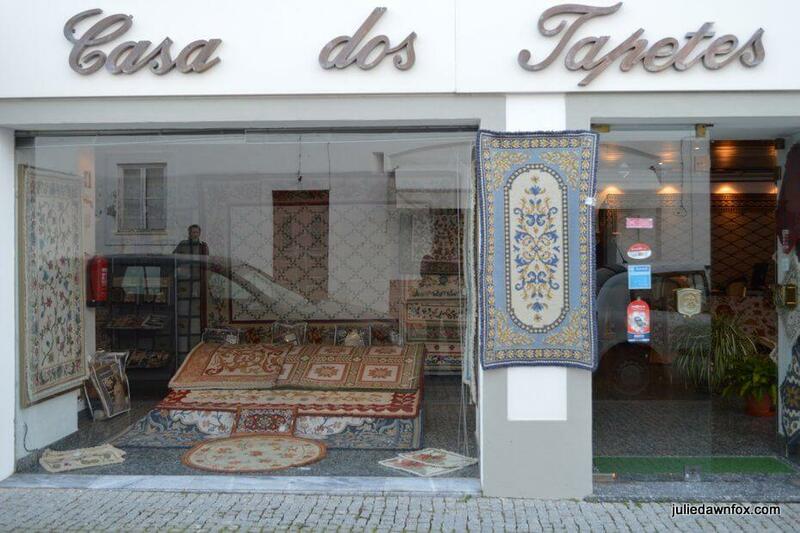 I was in Lisbon recently ( May 2018 ) and asked about prices in the Arraiolos Carpets showroom in Rua da Escola Politécnica ( the street that goes from Rato to the Bairro Alto). I was told, IF memory serves, that they are about 250 Euros per square metre, so a quite large one – say 4 metres by 5 would be around 5,000 Euros – smaller less of course. The lady in the showroom also mentioned that apart from the designs they have on display they can weave a carpet to any image you produce. Presumably this uses some kind of computer program. It would be interesting to know if they come any cheaper in Arraiolos itself, though I suspect not. Unless maybe there are some producers who use machines as part of the process, instead of hand stitching ? Like your blog, btw. Though the press of on screen ads makes it difficult to read. We got 20 kilos of wool and its all being send to london. Its being a dream of mine to teach. Hi I got a rug kit when we visited 2 years ago & have nearly finished it can you give me some help with how to finish it off. How do I do the edges ? My rug has a made up edging that you sew on after it is completed that’s fine, but do I fold over the edge at the same time as adding the edgeing ? My back is not quite as tidy as it should be. I have looked on line as to how they finish the back & it shows them using I think a type of glue ? Can I put a light Hessian backing on it to keep it nice or is it best just tidied up. I hope you can help or give me a web site that shows how to do it. After having just spent an afternoon in Arraiolos I believe this is an absolutely gorgeous village full of charm and interest. I only wish I had longer to explore it and in fact would have liked to have stayed there to experience it more fully. The tapestries and rugs are sensational and the skill in creating them is mind blowing. Definitely worth a visit to spend some time there and not just to pass through. I agree, the skill and workmanship is incredible. Glad you enjoyed Arraiolos, Debbie. Hi Anita, as I mentioned, it’s not necessarily the ‘best’ village in the region but it has its merits, especially if you’re after ‘low key’. Very nice, Julie. As you say, the carpets are rather expensive. 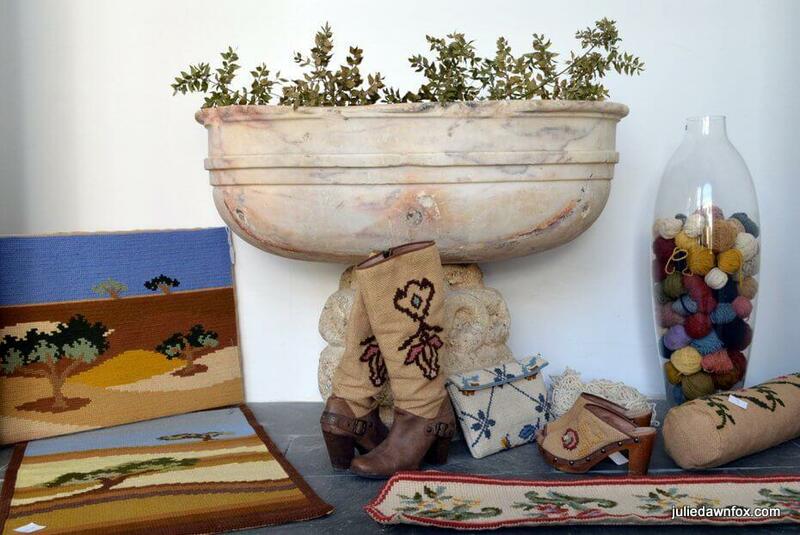 Instead we’ve often bought the colourful thick woven blankets from the Alentejo. Sadly, just like a lot of the crockery, it can be hard to find subtle colours these days. For that reason, if one’s budget stretches to a carpet that would be preferable as it seems to me that they still to keep much more to the old colour schemes. Like any quality handmade product, when you consider the amount of work and skill that’s gone into producing them, the price is more than fair and they last a lifetime so, assuming you can find a pattern you like and a colour scheme that will not go out of fashion, they’re a good buy. 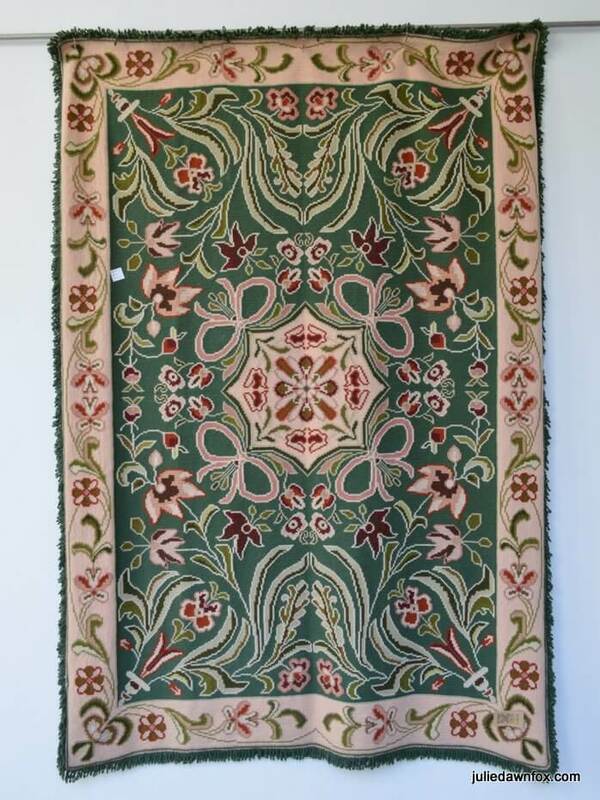 How much is a rug there, when bought locally? Like 2×3 metre one? I don’t know – you’ll have to ask in the shops as I can’t remember the prices and they will probably vary depending on the intricacy of the design.